Multi-Function Knife. 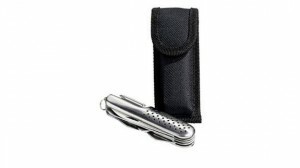 Basic 12 functions knife in pouch. 600D Polyester. Warning, this product is not available for the German market, we therefore cannot process any orders for the German market.